Newly listed is this Town Oaks town home at 1093 Raintree Court in Palm Beach Gardens. This home is fitted with three (3) bedrooms, two (2) and a half bathrooms and a dining room, which can also be used as a den. The open style kitchen features granite counter tops, a large center island, and stainless steel appliances. A tall privacy fence makes the screened pool and patio your own private retreat. 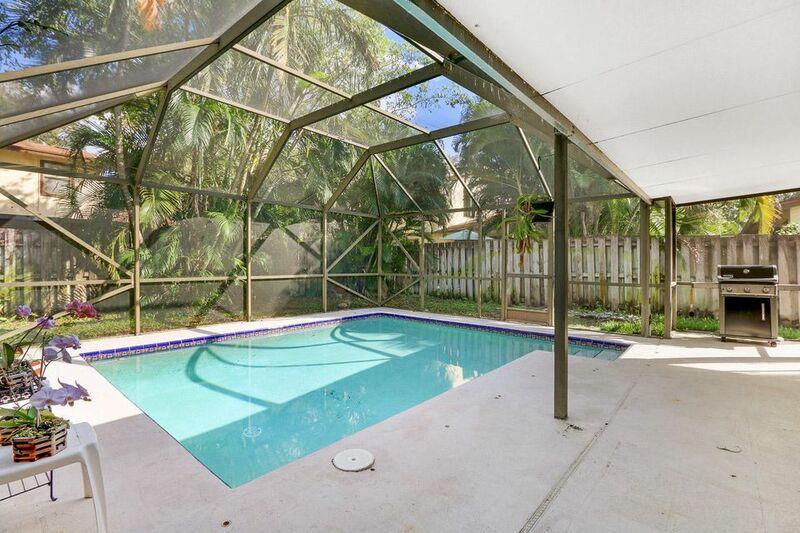 Furthermore, this home is located just minutes from shopping, restaurants, and beautiful Juno Beach.